Jesus asks us to love our enemies and to pray for them. We know that. But what does it look like to take this seriously? What kinds of prayers do we say on their behalf? In this post, I am choosing to explore the idea of praying for enemies who do great evil on a large scale to our fellow Christians around the world, rather than for personal enemies; although undoubtedly, many of the conclusions drawn here will also be applicable to praying for personal enemies. 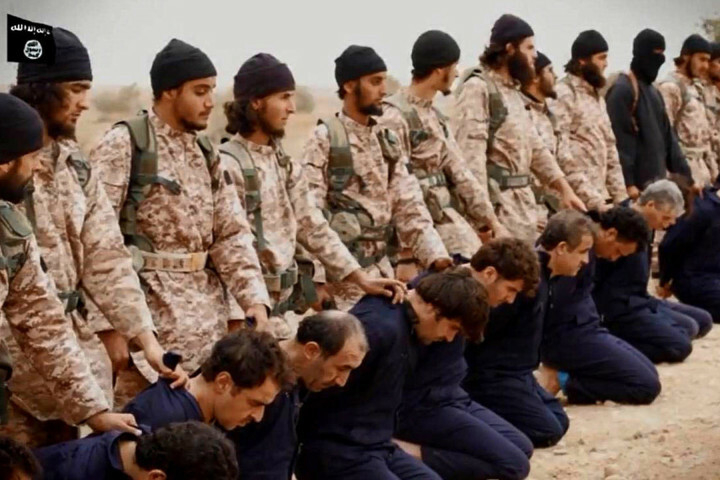 How do we pray for and not against the people of ISIS, Boko Haram, and other extremist groups who are committing some of the worst atrocities in human history? How do we engage meaningfully with what is happening to our brothers and sisters halfway across the world – in our hearts, in our minds, and on our knees? 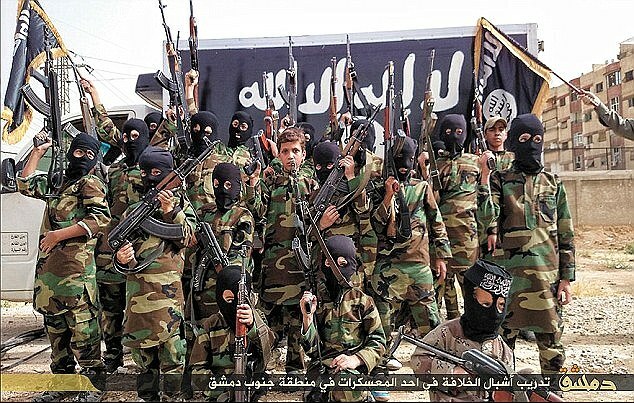 I mean, seriously – how do we prevent news about ISIS’s beheading of 21 Coptic Christians last week and its ongoing campaign of terror against Christians and non-Christians alike (including Jews, Westerners, and other Muslims) from becoming yet another faded memory in both our individual and collective psyches? How do I, a suburban mom who gets upset about things like burnt toast and undercooked rice, cultivate a sense of prayerful urgency and personal connection to these realities? I know that at some level I should. After all, God’s Word tells us to “pray in the Spirit on all occasions with all kinds of prayers and requests. With this in mind, be alert and always keep on praying for all the Lord’s people.” (Ephesians 6:18) And also, “I urge, then, first of all, that petitions, prayers, intercession and thanksgiving be made for all people (emphasis added) – for kings and all those in authority, that we may live peaceful and quiet lives in all godliness and holiness. This is good, and pleases God our Savior, who wants all people to be saved and to come to a knowledge of the truth.” (1 Timothy 2:1-4) You definitely begin to get a sense as you read through the gospels, and then through the epistles, that praying for all the Lord’s people and all people everywhere inevitably involves praying for their (and our) enemies – not that God would take them down Old Testament style, but that they might be saved. This reconciliation-centered-type prayer reflects the whole purpose of his incarnation, crucifixion, and resurrection. We are currently in the season of Lent. For those of you who belong to traditions that don’t follow the liturgical calendar, Lent is a 40-day period of spiritual formation leading up to Good Friday and Easter during which we, in a focused manner, replace practices that cultivate appetites for worldly things with practices that cultivate an appetite for things of the Kingdom of God. We do this so that our hearts will be more fully prepared to celebrate the Resurrection come Easter Sunday. Praying for our enemies is a decidedly Lenten activity. When we pray for our enemies, we identify with and imitate Christ, who allowed himself to be crucified on our behalf to save us from the consequences of our sins. 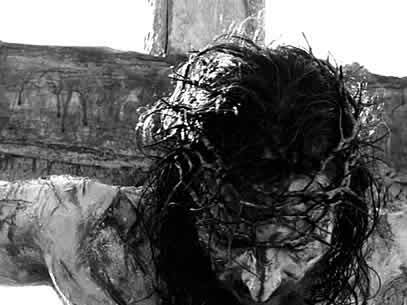 When we deserved justice and judgment, He instead dispensed mercy and grace. Likewise, when we pray for our enemies, we choose to die to our natural instinct to pray for retribution against our enemies and instead, pray for their salvation. Why? Because like us, “they know not what they do.” We bear the sorrow these enemies have brought upon the earth. We bear the terror in the hearts of the ones who have been and are being (even as we pray) violated and killed, as well as the anguish of loved ones who mourn their brutal treatment and brutal deaths. We even bear sorrow over our enemies’ separation from God and from the life-giving truth of the gospel. Finally, when we pray for our enemies in the shadow of the Cross of Christ, we are led through a process of intense internal struggle to realize that we ourselves are no better than our enemies, even enemies such as they, except by the grace of God. We die – painfully – to our self-righteousness. In moments like these, I find prose to be far too limiting. I submit the following poem to you as a tool to stir your imagination for how you might also pray for your enemies and for those who are committing the most unspeakable crimes against their fellow men and women. So easily from my mouth. That They are less than I. Yet set Them beyond its reach. They’ve spilled the blood of martyrs. But They with sword and spear. But I… clothe mine with modesty. We killed You – They and I. To proclaim as Your Spirit imparts. Your Spirit, Wind and Fire. 1) Does “war with Islam” rhetoric help Christians in the Middle East? And also by the work of Jason Porterfield, who publishes his writing on his website, Enemy Love. This is so arresting and powerful, and I am deeply grateful to have read it. Thank you for your careful words, and setting your face and best energies to the gospel. Wow. Beautiful. Beautiful and powerful. Thank you for this. I’ve been praying about how i can reach my Christian friends who buy into this sick narrative of retribution, violence, and ‘othering’ of people we don’t understand. I have been grieving over my total inability to believe that this can in any way be addressed: i believed in my heart that no one can be reached, that all are obstinately refusing to acknowledge their wayward views that are against Jesus Christ, and that this propaganda is impenetrable. This post has awakened me to the fact that there is a way. I appreciate hearing from you, Dennis. It’s a tough one for sure. It’s difficult to cultivate empathy for people we can’t identify with, even here domestically between ethnicities and classes. When you add geographic distance, sound-byte media and social media coverage, and religion-based enmity, empathy becomes almost totally elusive. I think Christians can hold legitimate opinions all along the spectrum of pacifism and militarism in terms of government-level decisions, but if we as individuals are ever promoting military action against the perpetrators of evil and injustice while being prayerless, condemning, and hard-hearted toward them, it means that we have lost touch with the significance of our own salvation – what it cost our Lord – and we need to be reminded and corrected.